Diagnose using a manifold gauge whenever systemвЂ™s high and/or low side pressure(s) is/are unusual. 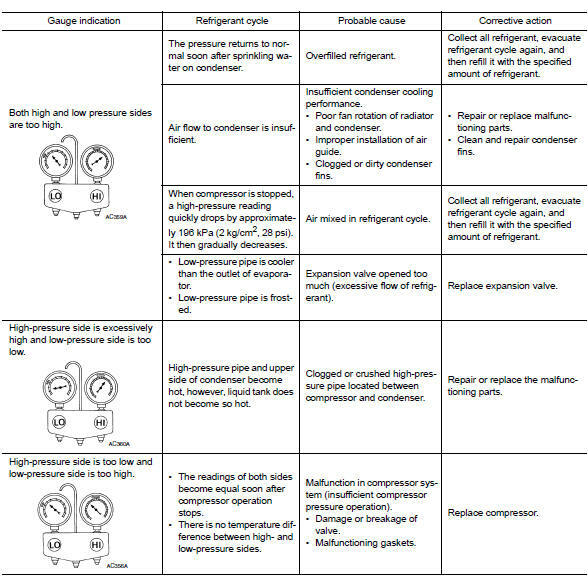 The marker above the gauge scale in the following tables indicates the standard (usual) pressure range. 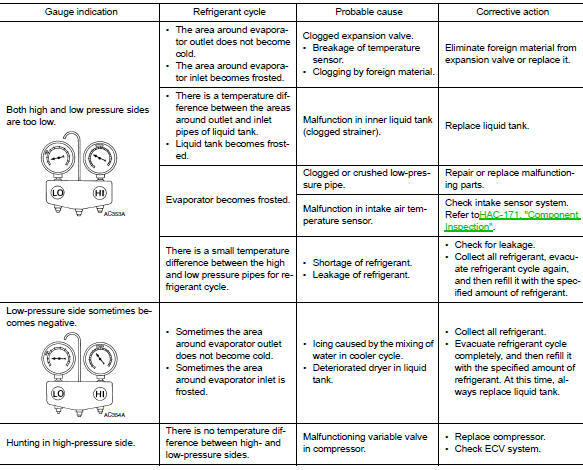 Refer to above table (Ambient air temperature-to-operating pressure table) since the standard (usual) pressure, however, differs from vehicle to vehicle.